These are challenging times for Emmanuel Macron. Kim Jong-Un has supplanted him as Donald Trump’s Best Friend Forever and he’s angered the Italians with clumsy comments about their handling of the migrant crisis. Thank goodness, then, that Kylian Mbappé h as recovered from an ankle injury and is fit for France’s World Cup opener today against Australia. Every president and prime minister would love their boys to win the World Cup but for Macron a victory inspired by Mbappé would be particularly timely. What political capital! Endless photo opportunities and references about the football team mirroring the new diverse, dynamic and blossoming France. 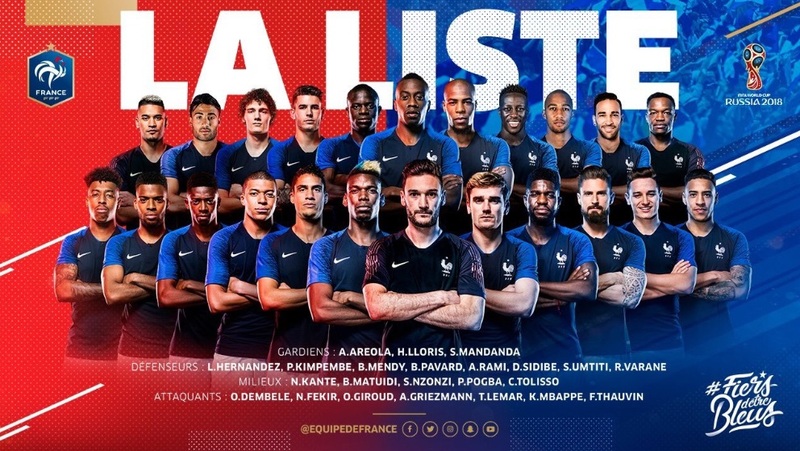 Mbappé is, for Macron, the figurehead of this French squad. The 19-year-old embodies the values that Macron is promoting to the young kids in the inner-cities of Paris, Marseille and Toulouse. Yes, talent matters, but not as much as diligence and determination. In February Mbappé was invited to the Élysée Palace to discuss with Macron and George Weah, the ex-footballer-turned-president of Liberia, how best to develop football in Africa. Mbappé inherited his formidable work ethic from his Cameroonian dad and his Algerian mother. They both love sport and taught their son the importance of putting the team before the individual – an ethos one hasn’t always associated with French football. That’s something of an understatement. Macron will be praying there isn’t a repeat of 2010 when France’s World Cup adventure descended into farce with defeats on the field and disputes off it, with factions allegedly forming along racial and religious lines. The enmity reflected the presidency of the time, the brash and disorderly reign of Nicolas Sarkozy who, unlike Macron, isn’t a genuine football fan. Macron is as passionate about the sport as Jacques Chirac was during his twelve years as president. Three years into Chirac’s presidency France won the 1998 World Cup, beating Brazil 3-0 on home soil, with a team described as ‘black-blanc-beur’. In fact only Zinedine Zidane, the team’s best player, was a ‘beur’, a French colloquialism for people of North African origin. Many in France hailed the the team’s triumph as a turning point in the country’s intercommunity relations. Pascal Boniface, an influential writer and social commentator, said it marked the start of a ‘a new Enlightenment’. But it didn’t, and in the 2002 World Cup France failed to win a game or even score a goal. That was also the year Jean-Marie Le Pen reached the second round of the presidential election, a first for the National Front. Much has been written about the role of the far-right in fracturing the unity fostered by the 1998 triumph. At the time Le Pen had described the squad as “unworthy” representatives of France, a theme to which he returned at the 2006 World Cup when he declared that the country “cannot recognise itself in the national side…maybe the coach exaggerated the proportion of players of colour and should have been a bit more careful”. But that’s only half the story. The thread of togetherness was also unpicked by another group of extremists. The 1998 World Cup victory coincided with the arrival in France from Algeria of Salafism, and the hardline Islamic ideology quickly took root on housing estates. Youths of North African origin who should have seen Zidane as an idol were encouraged to regard him as the enemy, a Muslim who had betrayed his heritage by playing for France. Rancour, failure and division scarred French football in the decade that followed, and as recently as 2011 the then coach of France, Laurent Blanc, was secretly filmed discussing the possibility of introducing quotas into French representative football to limit the number of black and north African players. This generation is gifted and likeable, and none more so than the well-rounded Mbappé. He grew up in the Parisian suburb of Bondy and they were delighted when he signed for Paris Saint-Germain last year in a €180m transfer from Monaco. To celebrate his return the town council adorned a block of flats with a giant image of Mbappé alongside the words: ‘Bondy: town of possibilities’. The local kids loved it. “It’s amazing what he’s already achieved,”15-year-old Ismam told a local reporter. “He’s a role model we can all dream of following.” Emmanuel Macron couldn’t have put it better himself. Last edited by Blackleaf; Jun 16th, 2018 at 05:16 AM..